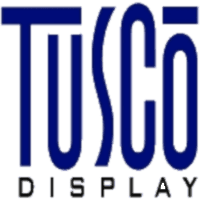 Ingenuity is what Tusco Display brings to the custom manufacturing of your point-of-purchase displays and store fixtures. Psychology, design, engineering, manufacturing and distribution ingenuity are applied to your custom-designed display product. So your POP display, point-of-sale display, store display, at-retail marketing display or in-store display functions efficiently, increases sales daily and enhances your brand image perpetually.